Global measles cases up 300 percent year-on-year: WHO - Integration Through Media ....! 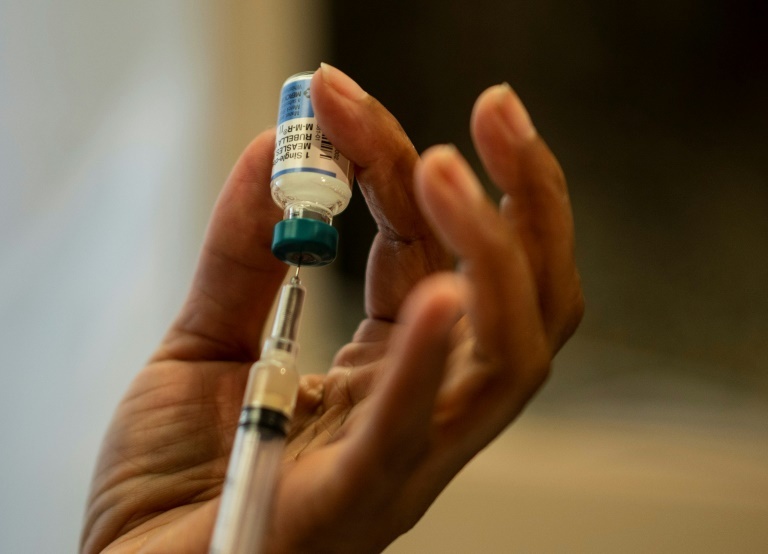 NEW YORK, (AFP): Measles cases rose 300 percent worldwide through the first three months of 2019 compared to the same period last year, the UN said Monday, as concern grows over the impact of anti-vaccination stigma. Measles, which is highly contagious, can be entirely prevented through a two-dose vaccine, but the World Health Organization (WHO) has in recent months sounded the alarm over slipping global vaccination rates. “Preliminary global data shows that reported cases rose by 300 percent in the first three months of 2019, compared to the same period in 2018. This follows consecutive increases over the past two years,” it said in a statement.